How to FINALLY feel relaxed, peaceful, and in control within 2 WEEKS without the STRESS, OVERWHELM, WORRY and FRUSTRATION that tough economic times (and just LIFE!) can cause – even if your family is struggling financially and you feel discouraged about the way the world is going! [text_block style=”undefined” align=”left” font_size=”16″ font_font=”Tahoma”]Do you remember when the biggest thing you worried about was when you would get your driver’s license, or saving up enough money to go to the movies? [text_block style="undefined" align="left" font_size="16" font_font="Tahoma"]Do you remember when the biggest thing you worried about was when you would get your driver’s license, or saving up enough money to go to the movies? The economic crash of 2008 challenged each one of us, but in different ways. #1 Some people lost their jobs…..and they STILL haven’t found employment to match the salary they used to make. #2 Or maybe you have to work TWO jobs to make the same money. #3 Maybe you fell behind in your mortgage or your rent. Maybe you even lost your home to foreclosure or a short sale. #4 Maybe you have more credit card debt. #5 Or perhaps the skyrocketing costs of EVERYTHING keep you from doing the fun things you really want to do with your family. #6 Or – maybe everything is “OK,” but you still have a sense of unease, a sense of uncertainty and the nervousness that comes with it. Stress is EVERYWHERE! [text_block style=”undefined” align=”left” font_size=”16″ font_font=”Tahoma”]Did you know that according to the American Psychological Association, over 72% of Americans list MONEY as the MAIN sources of major stress in their lives? This is a MASSIVE problem. Here is something else you NEED to know – Stress is NOT just a nuisance. It’s not just something you experience in your mind – it is not just “inside” you or simply an internal irritation. [text_block style="undefined" align="left" font_size="16" font_font="Tahoma"]Did you know that according to the American Psychological Association, over 72% of Americans list MONEY as the MAIN sources of major stress in their lives? This is a MASSIVE problem. You have a quicker temper and lash out at people more easily. You find yourself crying at the smallest thing, feeling overwhelmed when “just one more thing” gets added to your already-too-long to-do list. You have trouble sleeping (like insomnia). You “shut down” emotionally, and find yourself laying on the couch more than usual, not wanting to go out and do things with the people you love and care about. You feel tight, tense muscles, especially in your neck and shoulders. You have stomach or other digestive problems. [text_block style=”undefined” align=”left” font_size=”16″ font_font=”Tahoma”]If any of these conditions sound familiar, it is very likely you are experiencing the direct effects of stress on your mind and body. I hope you can see from this list of stress effects that chronic stress is a major problem. [text_block style="undefined" align="left" font_size="16" font_font="Tahoma"]If any of these conditions sound familiar, it is very likely you are experiencing the direct effects of stress on your mind and body. [text_block style=”style_1.png” align=”left” font_size=”16″ font_font=”Tahoma”] Let me introduce myself – I am Anita Marchesani, Ph.D. I coach business owners, leaders, professionals, and regular people to reduce overwhelm and stress so they can move forward and upward in their businesses, careers, and their lives. I am also a Licensed Psychologist. For over 25 years, during my entire career, I have witnessed the devastating impact of unmanaged stress on a person’s life. I was overwhelmed and burnt out after preparing 13 years to become a Licensed Psychologist. I was sure from an early age that it was my destiny and life purpose! As life led me through some tragic and unexpected turns, I found myself burnt out and unable to continue my career. All of a sudden, I was changing my life drastically from a corporate environment to a homeschooling mom running a business out of my home! To say that I went through an adjustment was an understatement. One thing remained consistent though. I KNEW that this was the right decision. Being home with my family and helping clients was just what I was MADE for! I’m not going to say it was easy, but that’s exactly why I can help you. My PhD brain allowed me to have a unique perspective on my situation. I wanted more. I wasn’t going to settle, and being a psychologist, I was very aware of the importance of being present and engaged in my kids lives. Now, I run a thriving business from home while still homeschooling my youngest who is soon to graduate (sigh). I’m committed to helping as many moms as I know overcome this challenge and find fulfillment and joy rather than fatigue and frustration! 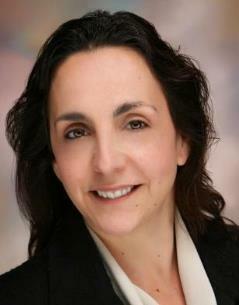 [text_block style="style_1.png" align="left" font_size="16" font_font="Tahoma"]<a href="https://thefreedomprescription.com/wp-content/uploads/2014/05/Dr-anita-image-21.jpg"><img class="alignleft size-medium wp-image-1315" src="https://thefreedomprescription.com/wp-content/uploads/2014/05/Dr-anita-image-21-199×300.jpg" alt="Dr anita image 2" width="199" height="300"/></a>Let me introduce myself – I am Anita Marchesani, Ph.D. I coach business owners, leaders, professionals, and regular people to reduce overwhelm and stress so they can move forward and upward in their businesses, careers, and their lives. If you don’t get your stress under control, it can make you SICK. I’m talking heart disease, chronic pain, uncontrolled diabetes, and other physical conditions. [text_block style=”style_1.png” align=”left” font_size=”16″ font_font=”Tahoma”]Emotionally, stress can lead to all-out depression, anxiety, and panic attacks. Plus, LIFE suffers when you are stressed – it’s harder to get along with people, you have less patience, and less energy to do the things you need to get through the day. The end result – people like you are very unhappy, unsatisfied, and discouraged. This means you aren’t bringing your best to the world. Stress makes most people hold back on their most important dreams, visions, and goals. [text_block style="style_1.png" align="left" font_size="16" font_font="Tahoma"]Emotionally, stress can lead to all-out depression, anxiety, and panic attacks. Plus, LIFE suffers when you are stressed – it’s harder to get along with people, you have less patience, and less energy to do the things you need to get through the day. And the GREAT news is that there IS a solution for stress! [text_block style=”style_1.png” align=”left” font_size=”16″ font_font=”Tahoma”]Now look – I am not diagnosing you. I do not know what your specific situation is, and if you are suffering from stress, or from another, more serious condition. So you will want to consult with your trusted medical professional or mental health counselor before just assuming that your struggles and symptoms are stress-related. [text_block style="style_1.png" align="left" font_size="16" font_font="Tahoma"]Now look – I am not diagnosing you. I do not know what your specific situation is, and if you are suffering from stress, or from another, more serious condition. It IS possible, there are PROVEN strategies that WORK! [text_block style=”style_1.png” align=”left” font_size=”16″ font_font=”Tahoma”]I have taught these to my clients for over 25 years and the results have been tremendous. Now – these strategies will not fix your problems. They will not make your financial situation change, or your mortgage payments go away. [text_block style="style_1.png" align="left" font_size="16" font_font="Tahoma"]I have taught these to my clients for over 25 years and the results have been tremendous. There is a way to to deal with STRESS! [text_block style=”style_1.png” align=”left” font_size=”16″ font_font=”Tahoma”]The tough truth is that stress can never go away completely. Things will ALWAYS happen in life that challenge us. Sometimes those life events will be extremely difficult – no doubt. But I want to give you specific techniques you can use NO MATTER THE SITUATION so you will lower your stress levels, feel more in control, and more peaceful, even as life swirls on around you. [text_block style="style_1.png" align="left" font_size="16" font_font="Tahoma"]The tough truth is that stress can never go away completely. Things will ALWAYS happen in life that challenge us. Sometimes those life events will be extremely difficult – no doubt. Find out the ONE THING YOU SHOULD NEVER DO WHILE YOU ARE STRESSED! Key questions to answer to help you shift away from bad life circumstances and into better, more life-affirming circumstances. [text_block style=”style_1.png” align=”left” font_size=”16″ font_font=”Tahoma”]Look – I know how hard it is. Financial stress in particular is very intense. It cuts to the very core of our self-concept. We want to provide the basics for our families – food, clothing, and shelter – but those very things might be in jeopardy. Or maybe things are “OK” in your household, but you still have a sense of unease and worry that things are not as good as you want them to be. [text_block style="style_1.png" align="left" font_size="16" font_font="Tahoma"]Look – I know how hard it is. Financial stress in particular is very intense. It cuts to the very core of our self-concept. We want to provide the basics for our families – food, clothing, and shelter – but those very things might be in jeopardy. [text_block style=”style_1.png” align=”left” font_size=”16″ font_font=”Tahoma”]You can go anywhere online to get “solutions” for your stress questions and problems. There are some very reputable resources, for sure. But what you will NOT find ANYWHERE else is a 30-question assessment so you can find out just HOW STRESSED YOU ARE. You can take it over and over so you can watch your score improve over time. With this e-book, you will get not only trusted advice, but REALISTIC AND PRACTICAL ADVICE as well. I have worked with thousands of people over the past 25 years. I know what is practical, and what is not practical. I want you to be healthy, less stressed, and more in control not just of your finances, but of your LIFE! [text_block style="style_1.png" align="left" font_size="16" font_font="Tahoma"]You can go anywhere online to get “solutions” for your stress questions and problems. There are some very reputable resources, for sure. How Much is This eBook? [text_block style=”style_1.png” align=”left” font_size=”16″ font_font=”Tahoma”]I used to sell this e-book for $25, but I know that -despite what the media tells us about the “improving” economy – people are struggling out there. [text_block style="style_1.png" align="left" font_size="16" font_font="Tahoma"]I used to sell this e-book for <del><span style="color: #ff0000;">$25</span></del>, but I know that -despite what the media tells us about the “improving” economy – people are struggling out there. 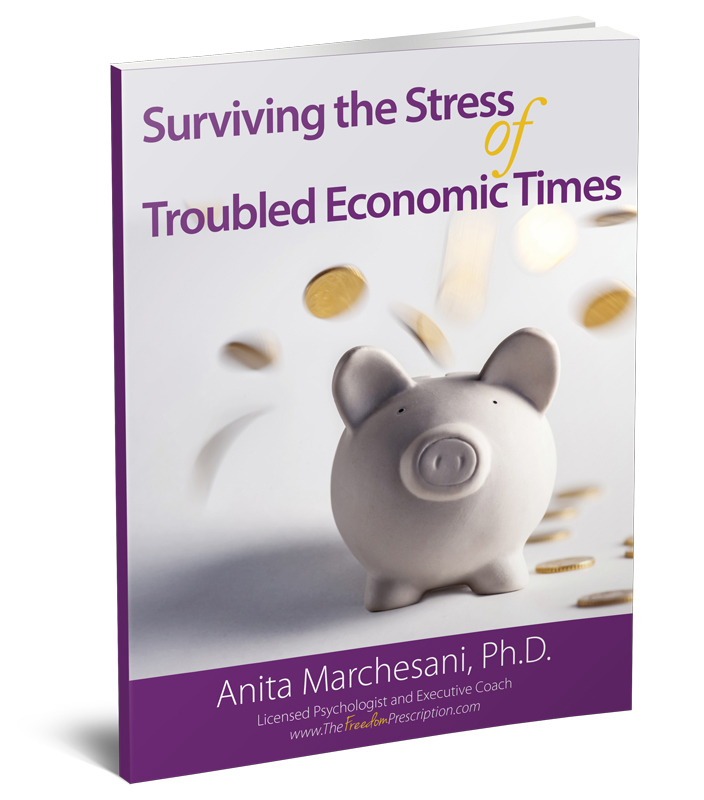 SURVIVE THE STRESS OF TOUGH ECONOMIC TIMES!